In all honesty I usually avoid reading beauty box posts, so why you might ask am I writing a review on the Latest In Beauty Glamour Beauty Edit box? Well, this one was simply too good for me to pass up on. As soon as my friend Laura txt me saying that I needed to check out the box's contents, I knew it had to be good! With nine fantastic products for just £14.95 (including P&P) there was no way I could resist. I have to say this is the best curated beauty box that I have seen so far. For once I can actually say that I will use every single product. I think there is a great mix of full size and sample products. I particularly like the generous offering of the full size gel eye-liner from L'Oreal! However my favourite product in the beauty box has to be Benefit's infamous primer 'The Porefessional.' I have been desperate to try this primer for so long and after loving the effect it has on my skin and makeup, I will definitely be buying the full size version. 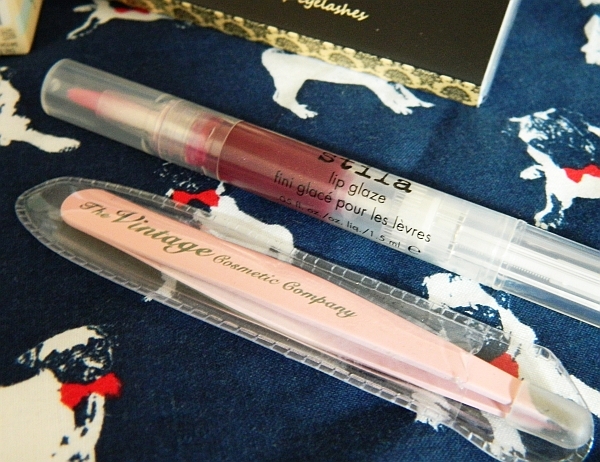 I was lucky to receive a Stila Lip Glaze in 'tropical punch.' I would describe it as a berry colour. It is certainly very wearable and lovely for the summer. The formula is fairly thick, but it does not feel heavy on the lips and it is not as sticky as I expected it to be, which is always a bonus on windy days! The lovely powder pink tweezers are from The Vintage Cosmetic Company. I am forever losing my tweezers and having to purchase new ones so these were well received. 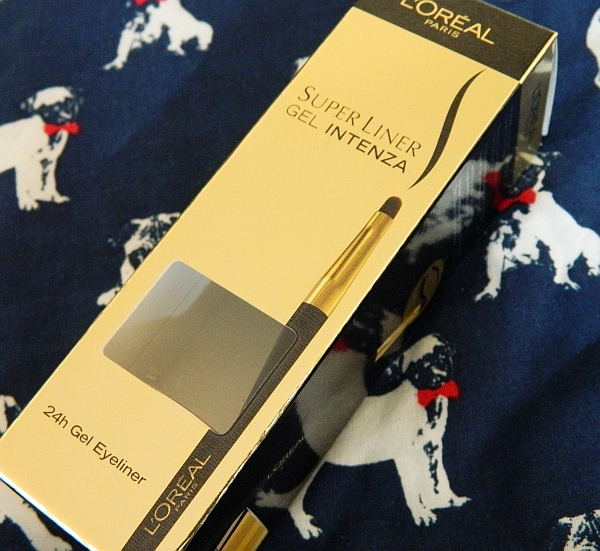 I received the L'Oreal Super Liner in 02 Golden Black. When you open the little pot you can see the golden flecks in the black gel, however these are not noticeable upon application. I love how the gel liner comes with a proper brush and not just a mini one. So far I have really enjoyed using this eyeliner. It is the first gel eyeliner I have enjoyed using as it does not print onto the top of the eyelids and applies very smoothly. I am really pleased that I received the Revlon nail enamel in 'Revlon Red.' It is the perfect classic red! The nail polish applies really well and dries quickly. I have been wearing it since Saturday and it has only chipped slightly. I won't go into detail about the Batiste dry shampoo, as it is just dry shampoo, however it is something that I like to use to refresh my hair on non-wash days, so I was glad it was included in the box. Plus it is festival season, so dry shampoo is a must-have! The false eyelashes from JINNYlash are so pretty. I haven't worn them yet but I think they will be great for thickening my lashes, which are already fairly long. They make a lovely change from some of the lashes I used to wear, which were far too over the top - cringe. I haven't used the Frizz-Ease serum yet, but John Frieda is a brand that I have used before, so I am pretty certain that I am going to love this product. Anything that tames fly-aways and frizz is a winner in my eyes. The product that has excited me the least is the Green Tea exfoliating marvel gel from Ginvera. I think this is probably because I feel like I have already found the perfect face scrub for my skin (The Sanctuary Exfoliating Pore Refiner). However, as with all skin care products you need to give them a while to work, so I am definitely going to give this a fair trial before judging it. 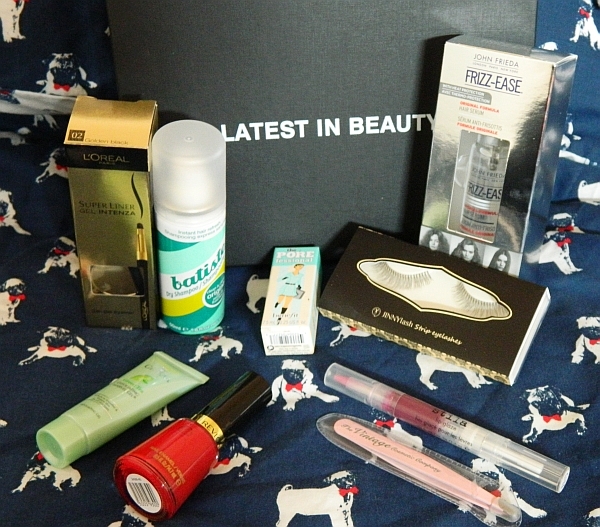 All in all I think this is a fantastic beauty box from Latest in Beauty and Glamour. The best thing is that they haven't sold out yet, so you can still pop over to the website and purchase one for yourself! £14.95 for £65.00 worth of products is definitely a deal worth having. Although I am still not sold on signing up for monthly beauty boxes (with any company) I am very, very pleased that I chose to purchase this one! I'm really tempted by this one - I do miss my beauty box subscriptions, and the amount you get for the price in this one is incredible!